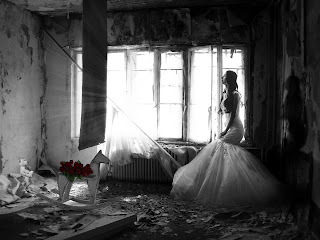 This blog endeavors to generate hope and healing in the midst of broken, hurting marriages. “For the unbelieving husband has been sanctified through his wife, and the unbelieving wife has been sanctified through her believing husband” (1Corinthians 7:14 NIV). To stand for your marriage means that you take up a specific position. You decide that you’re not going to conform to the world’s ways and solutions, but do what the Lord wants us to do when our marriage goes sour. To stand for one’s marriage may sound simple, but it goes against everything the world teaches and what your flesh desires. To stand for your spouse is love in action. It's been awhile since I've written a devotion, but i felt the prompting of the Holy Spirit to write and tell you all what God has been sharing and teaching me and wants me to teach you. God has been speaking to me so much lately, and I know that we all need encouragement, so please open your heart to hear what God is saying to his people. First, God wants you all to know, as standers, that He wants you to LET GO of your spouse. WHOA KRYSTAL! What does that mean? For years as a stander, I've often heard that we need to let go, and so many of us do not know what that means, here is the meaning. Quit focusing on your spouse. Quit looking at what your spouse is doing, quit being anxious, turn your WHOLE FOCUS on God. Nothing less than everything. Do you want to know the secret to a restored marriage? I have been blessed to witness many restored and resurrected marriages. It is almost my 5th year in marriage ministry and I'm going to share with you the big mystery and secret I have discovered over the years. This mystery was hidden for thousands and thousands of years. This secret or mystery to marriage restoration has been hidden for ages, but those who find it have restored and resurrected marriages. Not only do they have new life beating in them, their old lives and pasts have been wiped away and everything they now have is brand new.